The challenges of this 21st Century are significant. So the role of institutions like Nyack and ATS is to help students achieve their full potential for service in creative and innovative ways. Fulfilling that role, however, requires a growing source of funding to finance such innovation—and to make it as broadly accessible to as many students as possible. As a member of the President’s Council you would become part of a unique support system for those attending Nyack College and Alliance Theological Seminary — ensuring that as many deserving students as possible receive the very best training and preparation we can provide for life and ministry. You would be part of the foundation upon which rests the future of thousands of students who will matriculate here in the decades ahead. Please take this opportunity to join as a Charter Member of Nyack’s President’s Council and invest in students who are changing our world —today and in the decades to come. Thanks for your partnership! 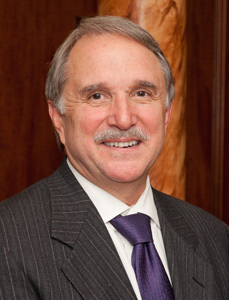 Michael G. Scales, Ed. D.